The kitchen has long been the heart of the home. People are drawn to the warmth of the kitchen and sustained by the meals that emerge from it. For many, the kitchen is the embodiment of the word “home”. Perhaps that’s why it’s so interesting to see other peoples’ kitchens. The 14th annual Port Townsend Kitchen Tour takes place Saturday, April 30, 2011. Between 10 a.m. and 4 p.m., participants may tour eight different kitchens in Port Townsend’s historic Downtown and Uptown. This is a unique opportunity to peek into some of the homes you’ve most admired in Port Townsend. Some of the kitchens are in historic homes, updated to meet the needs of our time. Others are in new homes, and reflect current trends in design. If you’ve been considering a kitchen remodel, the Port Townsend Kitchen Tour is a fantastic opportunity to see a variety of kitchen designs, cabinetry, counter tops, and more. Plus it’s fun. There may be no better activity after a day of kitchen touring than Washington State Wine tasting. Sorenson Cellars and FairWinds Winery are located in Port Townsend; both offer wine tasting on the weekends. 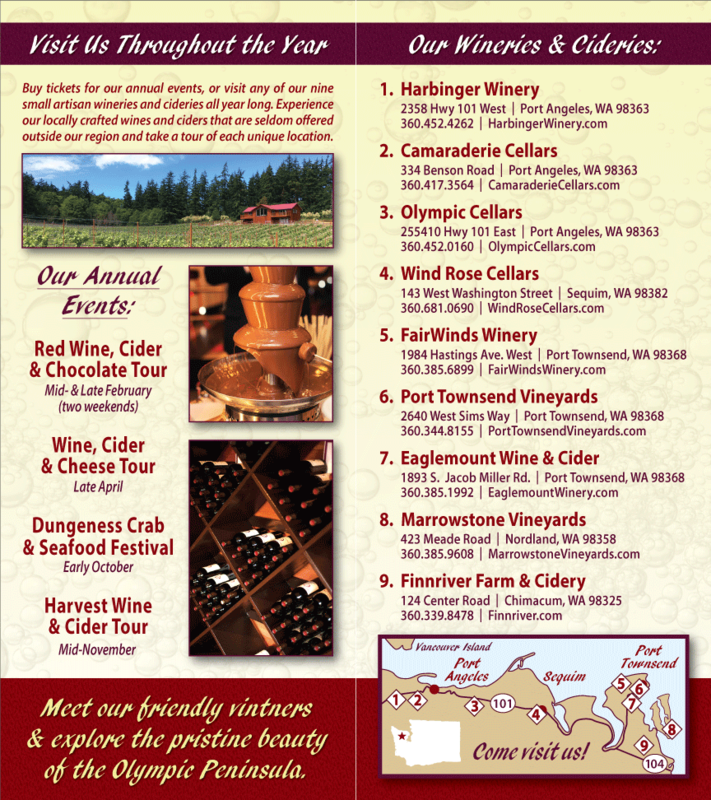 Two more tasting opportunities are just outside of town in beautiful Chimacum: Finnriver Farm & Cidery and Eaglemount Wine & Cider. Local Washington State Wines and Ciders are also available at The Wine Seller, on Water Street in Port Townsend. Please visit Port Townsend Kitchen Tour for additional detail.